The Bosch VF130H Long-Life HEPA Filter pairs with the either the VAC090A or VAC140A dust extractor with auto filter cleaning to help move users toward compliancy with the OSHA respirable crystalline silica dust regulation. 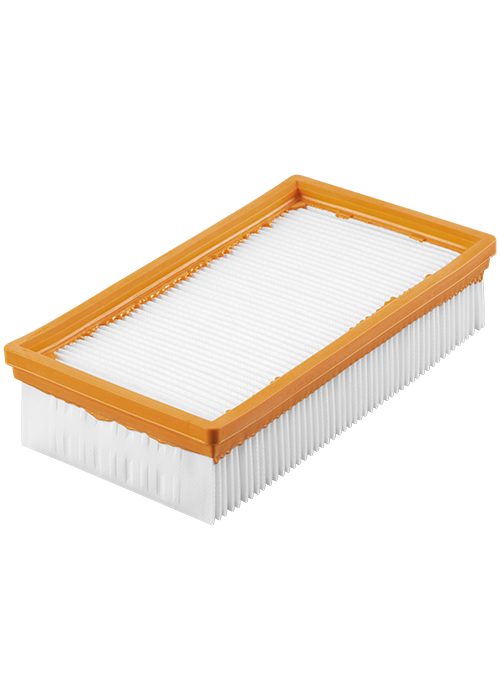 The VF130H captures 99.97% of particles 0.3 microns and larger, and it has a low-stick surface to enhance the filter-cleaning process. The VF130H filter and dust extractor unit is a critical component in the end-to-end Bosch PRO+GUARD™ Protection System – along with the right tool, accessory, attachment, connections and respirator. The use of a fleece filter bag is highly recommended when using VF130H, as it will help prevent the filter from being directly exposed to abrasive materials and sharp objects that can be collected during normal use of a dust extractor. The filter is for use in dry applications only. Filtration Capability 99.97% of particles at 0.3 microns.